Unfortunately, while I had read those stories as a kid, I no longer possessed those issues (a casualty of my youth). And without them to reference for details, I couldn't write anything on it. But I'm glad you did. First, it was fun reading about it all over, again. And, second, I now have a place to go to for the details if I ever get asked about it. 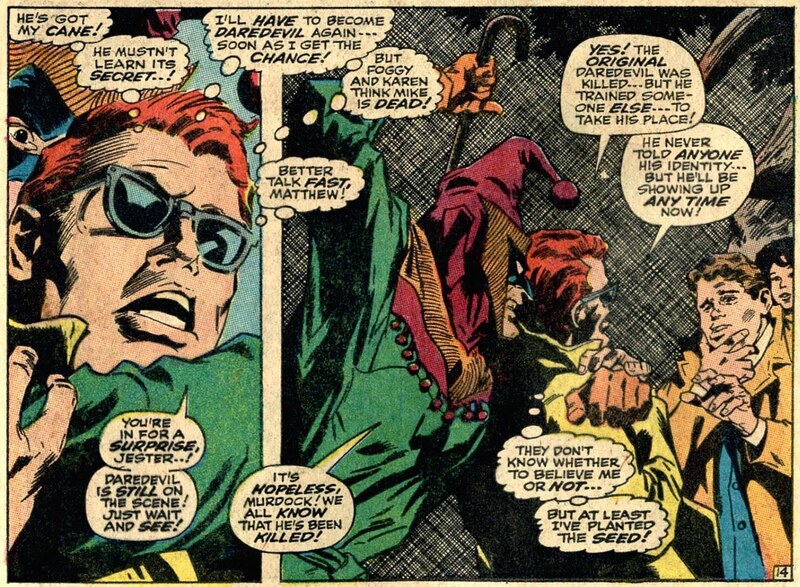 Nice to get some detail on this, I remember references to it I believe in Baby Boomer Comics. 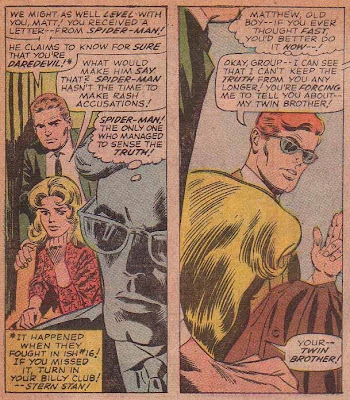 great post, love the Mike Murdock stories. I agree that they might seem ridiculous now, but I also loved them as a kid!! 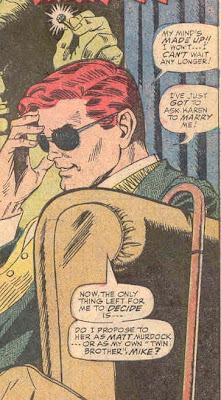 I always knew Daredevil was crazy - and this event was the proof! 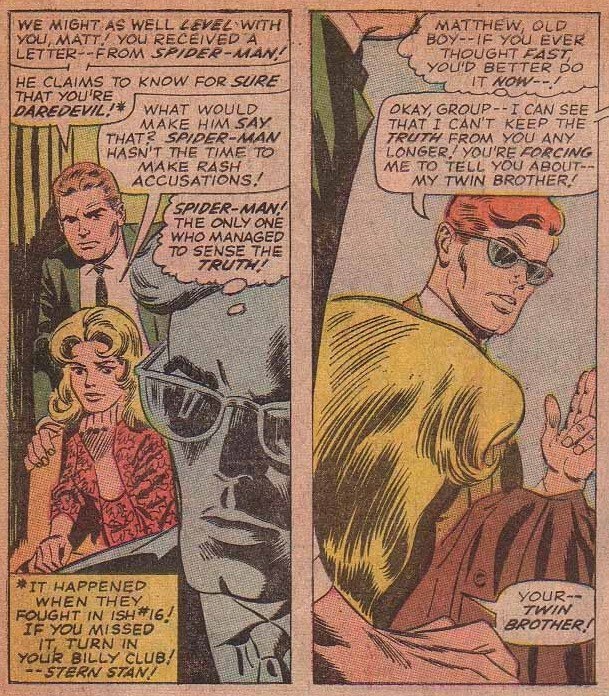 It was indeed stupid and crazy, but it was a nice twist on the secret identity thing - where instead of just two identities, try juggling three! 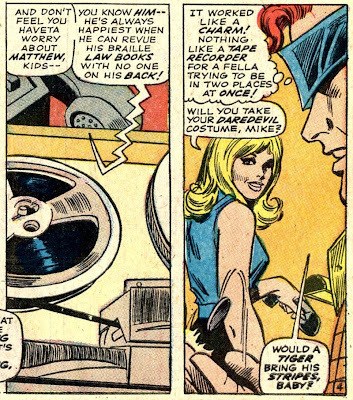 It just made it, when he was finally outed as Daredevil, all the more humorous, because he put such gosh-darn effort into protecting that secret identity. With art by the great Gene Colan. I'm glad I found this blog, I really appreciate your view on comics. 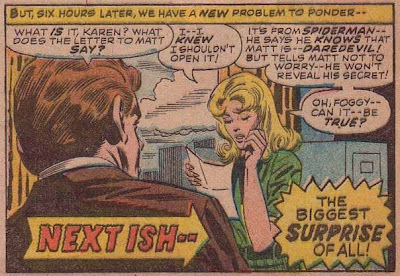 Some of Stan's best comic -- as in "funny" -- writing, ever! I grew up with these stories as well and enjoyed the absurdities. 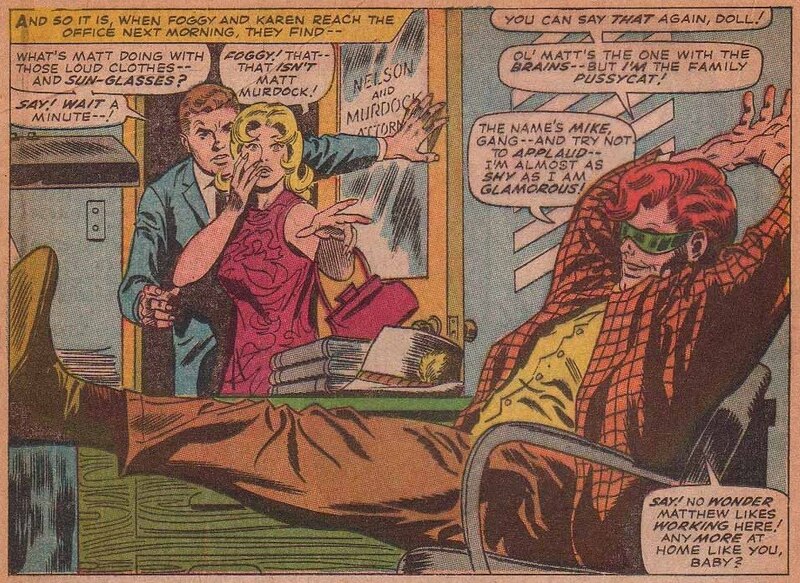 the most bizarre idea was when Matt/Mike disguised himself as Thor, wearing his DD costume underneath! Man, did this guy have psycological problems or what? ?